By default, the Center Button is assigned to Eye Focus, but I find it much more useful to use the Center Button to adjust the AF Point. Select Standard from the drop-down menu. Once you've done this you can adjust Zone or Flexible Spot focus points while shooting simply by pressing the center of the Control Wheel to activate the focus point then pressing the sides, top, or bottom of the Control Wheel to move it around or you can rotate the Control Wheel to choose the size of the flexible spot: Small, Medium or Large - I prefer Medium. For portraits, place the Flexible Spot focus point on the subject’s eye, and press the shutter button halfway until the focus point turns green and the camera beeps. While still holding the shutter button down halfway, recompose slightly if needed, and take your shot. Boom! Now you can use the Control Wheel to quickly adjust the Zone or Flexible Spot AF point. As an added bonus, this setting also works with manual focus assist. The difference is that when Manual Focus Assist magnification is active you merely use the Control Wheel to navigate around the screen - the Center Button controls the amount of magnification. 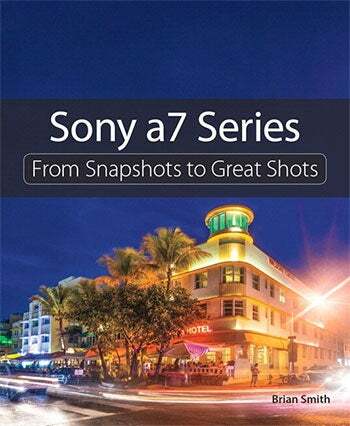 'Sony α7-Series: From Snapshots to Great Shots' is your guide to all Sony α7-Series cameras including the new α7R II. While the camera manual explains what the camera can do, it doesn’t show how to use the camera to create great images! Starting with the top ten things users need to know about the camera, author Brian Smith, a Pulitzer Prize-winning photographer and Sony Artisan of Imagery, carefully guides readers through the operating features of Sony α7, α7R, α7S, α7 II and α7R II and how to use them. Get practical advice from a pro on which settings to use when, great shooting tips, and assignments at end of chapter to practice what you’ve just learned. For the past 30 years, Brian Smiths iconic portraits of Hollywood's A-List and Fortune's 500 have graced the covers and pages of hundreds of magazines including Sports Illustrated, ESPN the Magazine, The New York Times Magazine, Time, People, Forbes, Billboard, Elle and GQ. His first magazine photograph appeared in LIFE Magazine when he was a 20-year-old student at the University of Missouri. Five years later, Smith won the Pulitzer Prize for Spot News Photography. His awards also include World Press Photo, Pictures of the Year, Best of Photojournalism and Photo District News Awards. 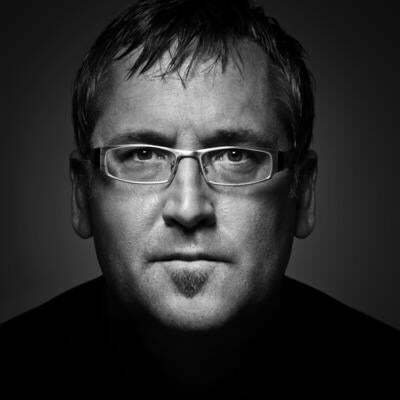 His work has been exhibited at the Library of Congress, American Museum of Natural History, Aperture Gallery and Chelsea Art Museum. His photography assignments have taken him five million miles to six continents yet always brought him home to Miami Beach.